Turkey is fending off an economic coup attempt, a presidential aide has said, referring to the ongoing row with the United States. “With the acumen of our nation and the leadership of our president, we are fending off this economic coup attempt. 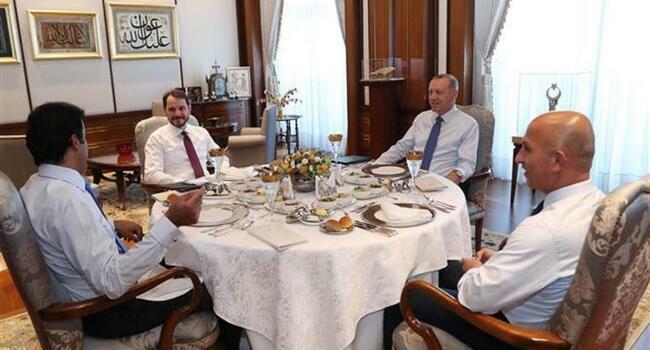 This dear nation will remember both those who stand with and against it in this process,” Turkish Presidency Communications Director Fahrettin Altun said in a tweet on Aug. 16. Meanwhile, Industry and Technology Minister Mustafa Varank said "necessary mesasures were taken against financial attacks." "We will never allow our industry to be affected negatively. Our strong industrial infrastructure and dynamic entrepreneurs are our most important support against internal and external attacks targeting our country," he added. Commenting on the rise in Turkey's industrial output in June, Varank said the economy is going "robustly" as led by its industry. Turkey's industrial production rose 3.2 percent this June compared to the same month last year, the country's statistics agency announced on Aug. 16. "The 17.9 percent rise in high technology production is the mark of a trend we want to capitalize on," added Varank . He also said the recovery of the country's export markets and its buoyant tourism sector are contributing to industry. Turkey and the U.S. are in historically low bilateral relations amid the continued detention of U.S. pastor Andrew Brunson, which was used as a reason by President Donald Trump to adopt political and economic sanctions against Ankara in early August. Turkey has engaged in a fresh diplomatic attack against the sanctions, with President Recep Tayyip Erdoğan in talks with prominent European and Gulf countries in a bid to seek more support as the Turkish Lira fell rapidly against the U.S. dollar. The U.S. inaction on Turkey’s extradition request for Fethullah Gülen, the leader of the Fethullahist Terror Organization (FETÖ), who Ankara blames for the coup attempt in July 2016, is another source of frustration for Turkey, according to an Aug. 15 statement by Turkish Foreign Minister Mevlüt Çavuşoğlu.up attempt, a presidential aide has said, referring to the ongoing row with the United States.